There are a number of crucial elements that come together to create the ultimate look and feel of your home or business interior. When you work with a Miami interior designer, you’ll learn how furniture pieces, flooring, paint, and all kinds of accessories can contribute to the overall theme that you want to achieve. One key element of any room and one that is sometimes overlooked by beginners is the interior lighting. Lighting can set a mood and will have a direct impact on how your other design choices come together. Get the wrong lighting, and much of your hard work could go to waste. Get the lighting perfect, and you’ll bring out the best in any room. J.Design Group is a leading interior design firm Miami, and we can help you to find the ideal lighting that fits your overall concept. If you’re still in the planning stages of your next project; these are three ways that lighting can influence your overall interior design. When you get down to the basic science, color is made up of electromagnetic radiation, which we perceive within the spectrum of light. Therefore, light is color. The lighting you choose will have a profound impact on the colors in a room, to the point where too much or not enough lighting could have a negative impact on colors. The more light that there is on a colored surface, the more vibrant the color will be. Sometimes, too much light could cause the color to become oversaturated and overbearing. You’ll need a good balance of natural light (or neutral artificial light) if you want colors to be represented accurately. However, in some cases, you may want lights to be dimmed so that colors are more subdued, particularly in the evenings. Light placement and light fixture design will be essential when it comes to color control, so make sure you talk to the experts at our interior design firm Miami, for the best advice on the types of lighting that will work with your furniture, accessories, and color scheme. Lighting can create an illusion of space, or it can accentuate the space that already exists in a room. Both natural and artificial light can play a part here. Essentially, the brighter a room is, the larger it will feel. Full spectrum light is the most efficient at creating space, so it’s important to use natural light in the rooms where it is possible. Even rooms without exterior walls can incorporate natural light with the installation of skylights. Even if natural lighting can’t be used, then there are ways to recreate the effect by using artificial light. Modern LED lighting is available in a range of color spectrums, including warmer light that balances neutral white with yellow. Light placement will also have an influence on whether your lighting is able to create space. Ceiling hanging lights, such as a large central fixture or chandelier, will help to make a room feel larger. Wall lighting can also help to create space, and you will be able to choose from a variety of designer sconces and other fixtures when you work with a Miami interior designer. Interior design should be aesthetically pleasing and appropriate to the room and environment. At the same time, it should also be functional. You should always keep in mind that the primary purpose of lighting is for illumination. Everything that comes after that is a bonus. Keep in mind that excessive mood lighting might make space harder to use (such as a hallway) or it could even be hazardous (such as in a kitchen). Our interior design firm Miami will help you to choose the right lighting that not only accentuates the positives of your interior design but also makes spaces functional and safe. 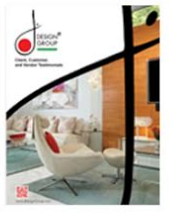 With More than 26 years of experience in the industry, J.Design Group can help you to achieve the right look in your home or commercial space. 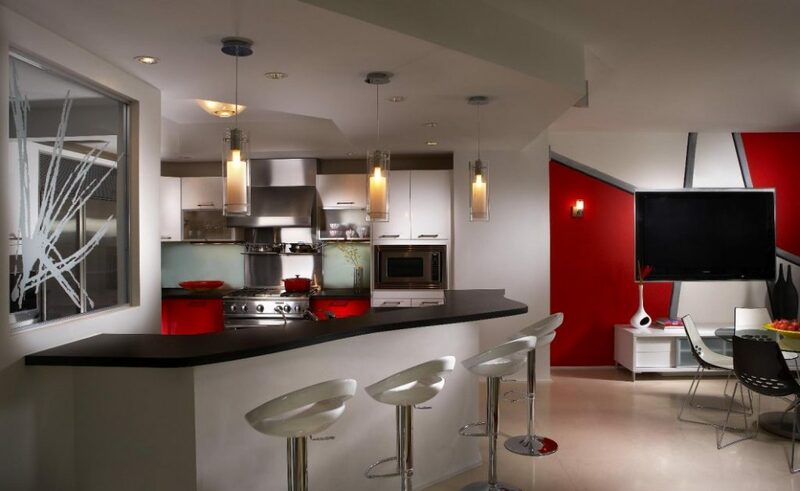 Our expert Miami interior designers can work with you to create an interior design theme that matches your needs and your personality, and we’ll maximize the use of light to create a space that you’ll love. Talk to us today about any interior design project that you have in mind, and enjoy the exceptional service and creative direction that only the best interior designers can provide.